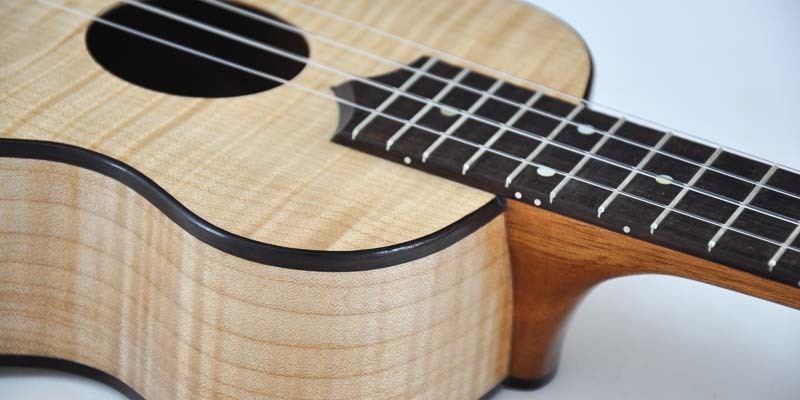 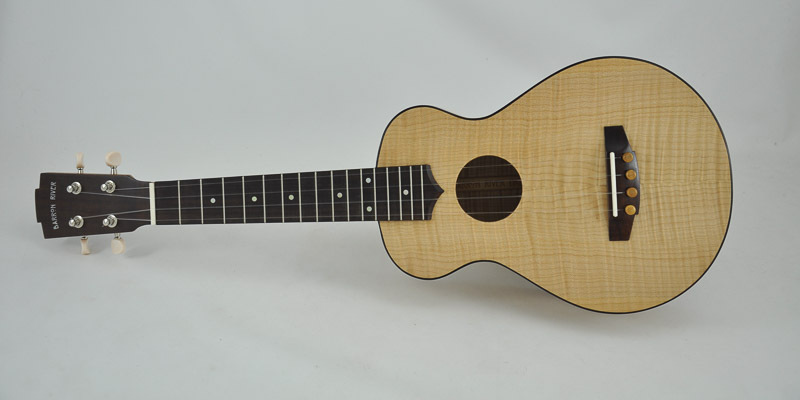 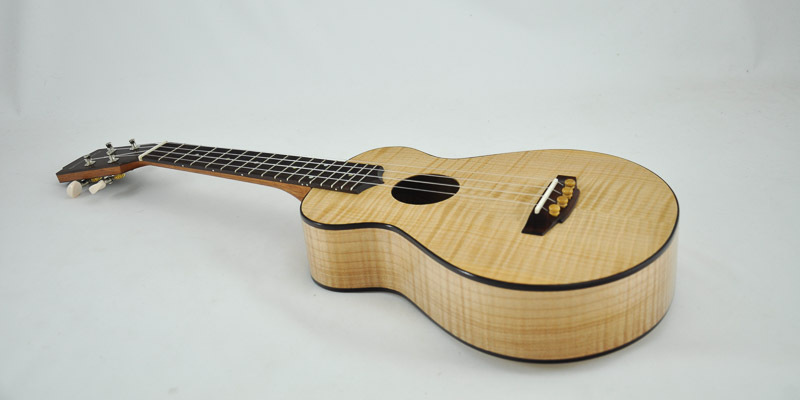 This concet size ukulele is built with Canadian curly Maple, Spanish Cedar for the neck, Indian Rosewood for fret board and bindings. 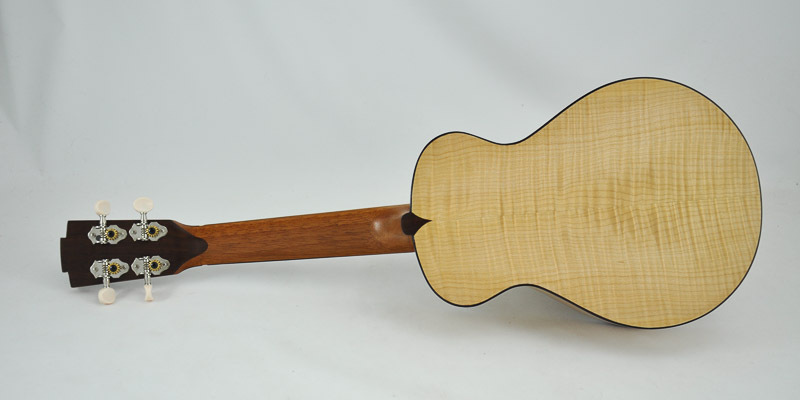 Australian Gidgee for Peg Head and Bridge. 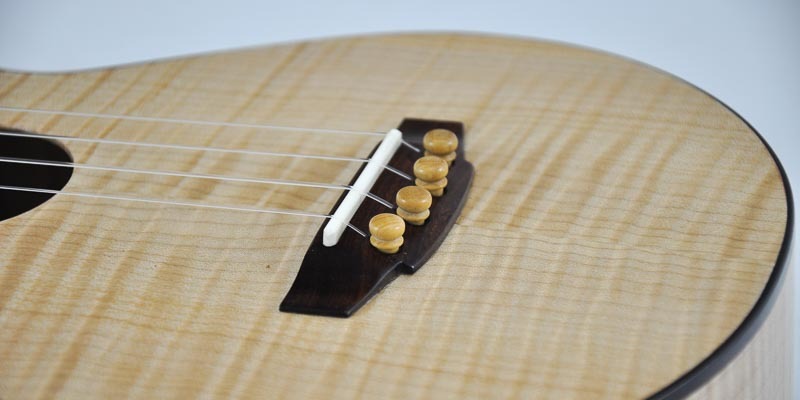 Assembled with hot hide glue of superior accoustic proporties, and a French Polish finsih.